Whenever someone asks me about motivational speeches, one of the most inspirational gurus that often shows up in my mind is none other than Les Brown. Les Brown is a successful motivational speaker, an author, a former radio DJ, television host, and also a politician. Les is considered one of the most powerful motivational speakers in the world and he has inspired millions of people across the world. I love the way he delivers his speeches because his stories and the examples he gives are often down-to-earth and that we can often relate to. If you check it out on YouTube, you will see that his speech in the Georgia Dome is one of the most impressive ones and he holds the audience spellbound. 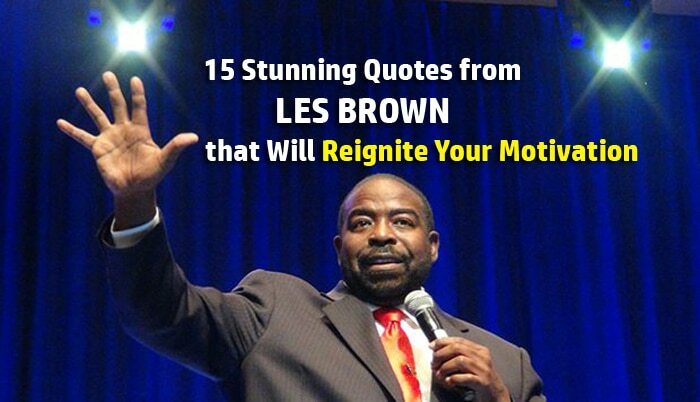 Les Brown was born with his twin brother in poverty and his mother gave them up after birth. Les and his brother were then adopted by a cafeteria attendant. When he was young, he was labeled as “educable mentally retarded”. And this has limited his life and his potential of what he can achieve in life. And that was what it took to change Les’ perception about life and success. From then on, he started to believe in himself, seeing his dreams and goals as something possible to achieve, and the rest, as they say, is history. So you want to be inspired by Les? Here are the 15 stunning quotes from Les Brown that may inspire and change your life like how his teacher changed him. To be honest, this is one of my favorite quotes from Les Brown. Regardless of what others tell you, you have to believe in yourself and never let their opinion becomes your reality. When Les was young and due to his poor grades in school, some people actually suggested him work in the post office or to join the army. These are the kind of opinions that will affect your life and change the way you live. Luckily, Les did not take those opinions as his reality and live them. He learned that other people’s opinions are just generalizations and his future is still in his own hands. Therefore, he continued to pursue his dreams despite people told him that what he wanted is impossible to achieve. You have to be the same. Never take in other people’s opinions. You have to believe in yourself and your dreams. Believe that it’s possible! When Les says this, he is referring to our dreams. Never let our dreams to die. We don’t want to live like a zombie without a clear direction or a goal to pursue in life. When you have no dreams and no goals to aim for, you are living a directionless and meaningless life. Hence, never stop dreaming. And let your dreams drive you to live each day with passion. Yes, you must be willing to let go of your past and what is dragging you down in order to move forward. Just like if you want to fly, you must give up the things that will weigh you down. 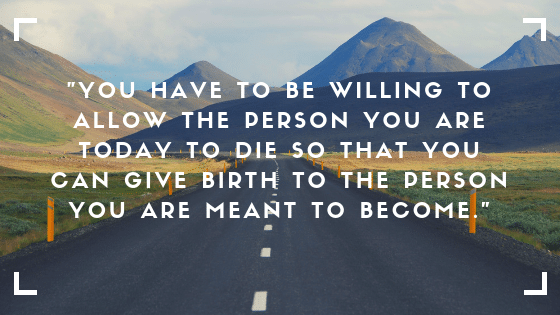 And to become the person you want to be, you must change and allow the “older you” to die. You are where you are right now because of your thinking, beliefs, and characters. So if you want to get to a new ground, you must be willing to change. When you change your old beliefs, your thoughts, your characters, and your habits, you will move out of your comfort zone and produce the results that you want. How do you know how much potential you have in life and how much can you achieve? Well, you can’t find the answer because life has no limits except for the ones that you place on yourself. The limits only exist in your mind. Successful people are able to produce outstanding results in life because they don’t place a limit on what they can accomplish. They go ahead and do it without making an excuse. On the contrary, unsuccessful people always doubt themselves, make excuses, and they limit their potential by thinking that they can’t achieve what they want. As a result, they end up achieving much lesser than successful people. If you want to live an amazing life and create extraordinary success, you must never place any limit on what you can achieve. Whatever happens in your life, it is because of your own decision and action. You have to understand that you are where you are right now because of what you did all this while. Nobody can stop you from living the life you want. Nobody can make you sad without your consent. Hence, you must learn to take 100% responsibility for life so that you can be in control once again. As long as you don’t take full responsibility for life, you don’t have control in life. And if you don’t have full control, you are living in reactive rather than proactive. This is because you believe that things happen to you rather than you are the one who can make things happen. Are you living in fears? Do you let your fears stop you from living the life you want? You have to learn how to face fear. When you confront your fear, the death of the fear will be certain. You can’t just sit at home and think about it, you must go out, get busy, and face your fear. A lot of people procrastinate and they never take the necessary action that will them the result because they are afraid. You don’t have to worry because fears are just your own imagination exist inside your head. A lot of people have the wrong idea by thinking that as long as they think about what they want, they will get it. No, this is not the full picture. Like what Les Brown said, you don’t get what you want, you get what you are. It is when you become the right person, you will attract the right results. There is no way you can be successful if you hold on to the lousy mentality, the lazy characters, and habits. If you want to earn a million dollars, you must adopt the mindset, characters, and habits of someone who is earning a million dollars. You can’t live a positive life with a negative mind. It is when you change yourself, you will get a different result. So upgrade yourself. Improve yourself and level up yourself to become the person who is worthy of your dreams. This is another one of my favorite quotes from Les Brown. If you watch the speech from the video above, you will be driven by Les. You have to keep the attitude that it is not over until you win. Always remember this, a winner will never quit and a quitter will never win. So as long as you don’t quit and choose to keep hustling, you will eventually get there. Too many people give up whenever they face with tough times, setbacks, and difficulties. Never let this be you. No matter how tough the situation becomes, how hard it is to move on, or how many rejections and failures you face in your journey, tell yourself that it is not over until you win. There will be times when things are not going your way, but you have to understand that those are the times that you build your characters. They are not bad days. Successful people understand that bad days, failures, and rejections are unavoidable in their journey to success. So rather than feeling down or being defeated by the failures, they treat them as lessons and stepping stones to success. Do you know that failures are not the opposite of success? In fact, failures are on the same side of success. Therefore, without going through failures and hardships, you can never be successful. You need to stop getting all the bad influence from the people around you. This is why successful people are uncommon breed because they are choosy with whom they mix with. When you join people who love to complain, you will eventually join the conversation and become one of them. At the same time, if you spend your time with people who often talk about business and how to invest to earn more money, you will eventually become like them too. You will want to start your own business and start investing. This is the power of your circle of influence. And Les Brown is right when he says that it is necessary to get all the losers out of your life if you want to live a successful life. These are the words that Les’ teacher told him when he said he wanted to be a DJ. His teacher encouraged him to always be prepared because he will never know when the opportunity will come knocking. And so Les practiced how to talk like a DJ in his room every day. He even went to the radio station to see if there was any work he could do there. Eventually, he was allowed to be an “errand boy” to buy lunches for the DJ’s there. And one day, the opportunity Les was waiting for has arrived. A DJ was drinking while he was on air. As the DJ fell drunk, Les took the control and he was ready. He has prepared himself to be a DJ and now he has the chance. And so he did. This is why it is extremely important to always get yourself ready and be prepared for what you want. You may not know how the event will turn out and how the opportunity will present itself. But if you are prepared and when the opportunity comes, you will shoot yourself to stardom. This is what you must always tell yourself. No matter how bad it is or how bad things are going to be, you are going to keep moving forward until you make it. Extraordinary people are those who simply refuse to quit. They may not be the best or the most talented, but they are the ones who never give up. Thus, be determined with what you want, my friend. Be determined, have the perseverance, and never ever give up. This is what it takes to be successful. So are you willing to do the hard stuff? Most people are not successful because they are not willing to do the hard things and they are not willing to go the extra mile. The word itself says it well – the difference between ordinary and extraordinary is the little “extra”. You must be willing to give up on your leisure time to work on your dreams. You can’t just say that you want to be successful but when you get back home, all you do is lay on the couch and watch TV. You can’t be successful if you are not willing to give up on the lousy habits that are not helping at all. Being successful is living a few years of your life like most people won’t so that you can spend the rest of your life like most people can’t. But the question is: Are you willing to do the hard things and go the extra mile? This is exactly why most people fail to achieve what they want in life. They don’t really want what they want. They dream about it, they wish for it, and they hope to achieve it. But they are never truly committed to it. When what you want is just a mere wish, you will give up as soon as you hit an obstacle or when you don’t see the result after your first attempt. Successful people, on the other hand, are absolutely committed to what they want. Their motivation is high and consistent. They are willing to do whatever it takes to overcome the obstacles and get what they want. Successful people have a strong and burning desire to achieve what they want. Unsuccessful people wish that they can achieve what they want. 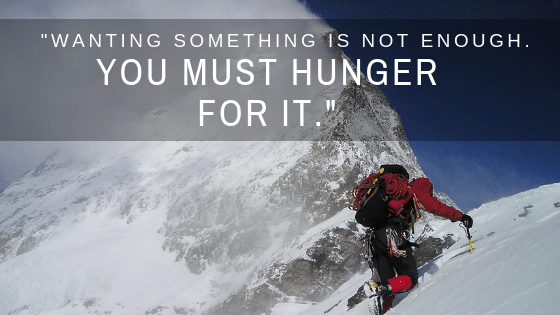 If you find it hard to build up the desire for what you want, read this article from Steve Pavlina where he shared some of the most insightful tips on the subject matter. So what do you think about most of the time? Do you think about what movie you should watch tonight or do you think about your goals and what you need to do to achieve them? Your thoughts say a lot about you. When you consistently hold your goals in your mind, you will make conscious decisions to move toward them. This is why successful people are so obsessed with their dreams. They can’t help but keep on thinking about reaching and living their dreams. Unsuccessful people think about other less important stuff like what to eat, what movie to watch, what games to play, how they should enjoy the weekend, and so on. If you want to be successful and make your dream a reality, the first step is to see it clearly in your mind that you are actually living it. And then make it your second nature like what Les Brown suggested. Reaching your dreams and achieving your goals may not be an easy process. You have to learn how to stick to your plans and overcome procrastination, day-in, and day-out. 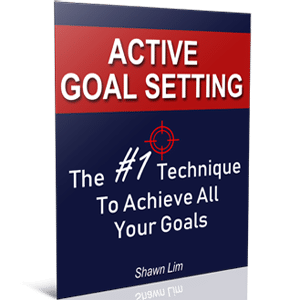 And if you are having difficulties in taking action and overcoming your bad habit of procrastination, I suggest you get this and make yourself become unstoppable right now.